This week marks the start of National Cancer Intelligence Network’s (NCIN) annual Cancer Outcomes Conference; one of the largest and most exciting cancer conferences in the UK. It is not only where new findings on cancer are launched and presented, but it is also one of the most important forums for cancer patients and carers to meet with doctors and researchers to discuss improving the outcomes for patients along all points in cancer care, from diagnosis to treatment. This year it takes place in an iconic venue in Belfast which has been at the heart of events in this city over the last few decades. It’s great to see the NCIN recognising its UK scope in this way. 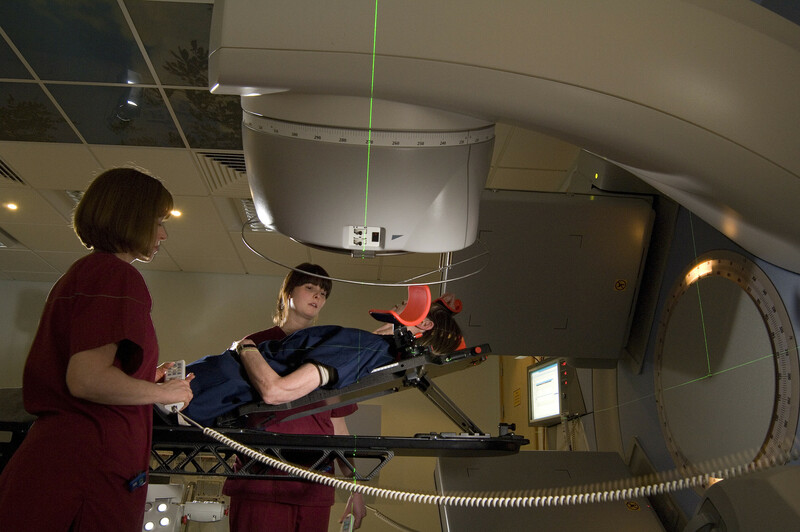 The overall aim of the conference is to highlight the many ways in which information on cancer is being used. The theme this year is ‘united against cancer - locally, nationally and internationally'. Leading experts are here discussing emerging research and findings on the treatment of cancer, how to evaluate services and how cancer intelligence is influencing wider public health and policy. We know cancer is really important to many people and most of us have had some direct experience of it in one way or another. Our public opinions survey showed that cancer is the public’s number one health concern and we in PHE are proud of the contribution we make to tackling it. And although cancer services in the UK are among the best in the world, it is clear from our data that we could do even better. Indeed, it is estimated that 10,000 deaths could be avoided each year if our cancer survival rates matched those in the best countries in Europe. This week’s conference doesn’t just focus on basic or clinical research, it also covers the patient experience. Delegates will hear a lot about ways to improve outcomes and experience of care for patients and this breadth of content highlights PHE’s position in the fight against cancer particularly well. On the data and information front, we operate the National Cancer Intelligence Network and run the National Cancer Registration Service. Together, working closely with cancer charities like Cancer Research UK, Macmillan and many others, these provide the crucial information and intelligence on cancer that help everyone from oncologists, to surgeons and epidemiologists improve survival rates and quality of care. Our main focus as a public health organisation is on tackling risk factors to help prevent cancer in the first place and reducing inequalities in incidence and outcome. We estimate that some 40 to 50% of cancers are preventable. The risk factors are varied but our organisational priorities, set out in ‘from evidence into action’ include three major behavioural cancer risk factors where we believe a major change can be made in the next five years, namely: obesity, smoking and harmful drinking; alongside ensuring every child has the best start in life. It’s estimated that as many as a third of cancers are caused by behavioural factors like the three listed above and we’ve been clear that significant improvement on our national approach to cancer prevention is both necessary and possible. Support for cancer prevention is at the heart of PHE’s health and wellbeing programmes – tobacco, diet and obesity, physical activity, alcohol, the NHS Health Check, public mental health and the Life-Course programmes for infants, youth, adults and older people. Our work includes nationally led programmes alongside a comprehensive programme of support for targeted local action led by local authorities and their public health teams. PHE is also developing some important new programmes, for example with NHS England and Diabetes UK we are leading the first ever National NHS Diabetes Prevention Programme, which will also have an important impact on risk factors for cancer. We are also working to tackle inequalities in cancer incidence and outcomes from treatment. Inequalities are evident by levels of deprivation, age, and mental health status. 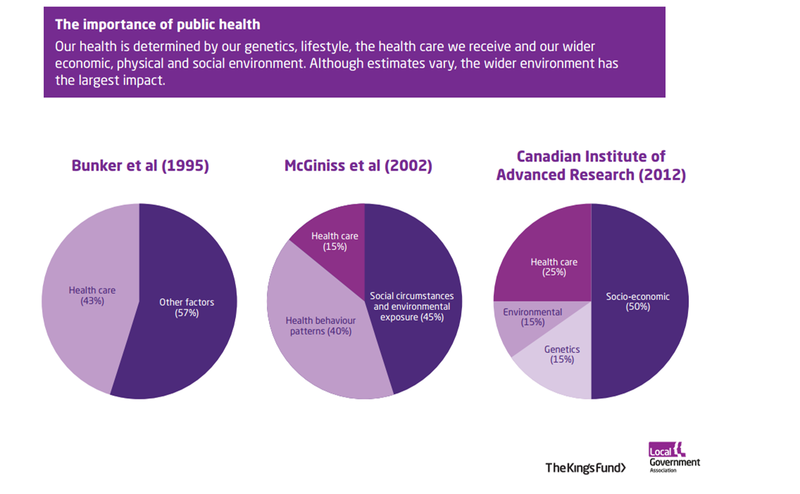 We have to recognise that factors outside the world of healthcare are extremely important in determining our health (see the Kings Fund/LGA graphic above). This is why PHE places so much emphasis on programmes to improve the so-called wider determinants of health such as good housing, community engagement and healthy workplaces. PHE’s data and intelligence functions have been at the forefront in identifying these inequalities in cancer outcomes nationally. Alongside this work we run social marketing campaigns to help reduce people’s risk factors or highlight symptoms to improve early diagnosis. This includes well known campaigns such as Change 4 Life, Smokefree and Be Clear on Cancer. The Be Clear on Cancer campaigns were designed to focus on prevalent cancers such as lung, breast, bowel, kidney and bladder, raising symptoms awareness and encouraging prompt presentation at GPs. And of course, we can only succeed by working in partnership with others. Indeed a large part of our work is about providing tools and evidence that support other organisations. The NCIN Cancer Outcomes Conference is a great example of the power of bringing people together across organisations and disciplines to focus their collective energy on the ultimate goal of improving cancer outcomes. I look forward to seeing many of you in Belfast.